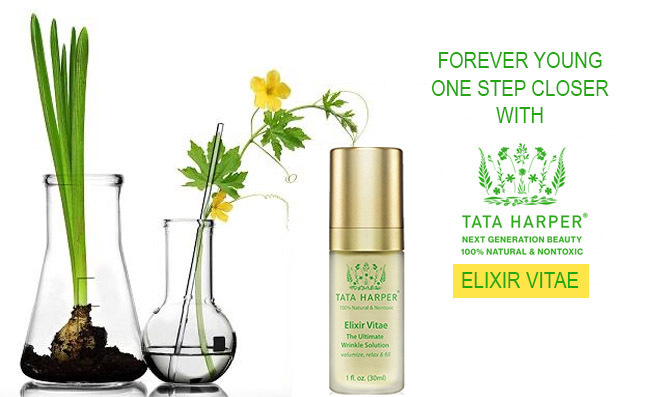 What is Tata Harper Elixir Vitae? What does it do to your skin? What is found in its formula? What are the ups? Are the downs major? Aiming for the healthier and forever young looking skin isn’t the worst thing you could hope for in this life, but you have to be willing the price for it. A high-quality cosmetic product that is formulated on highly efficient ingredients is a great option to have in mind, especially if the price tag is the last thing you check when shopping. 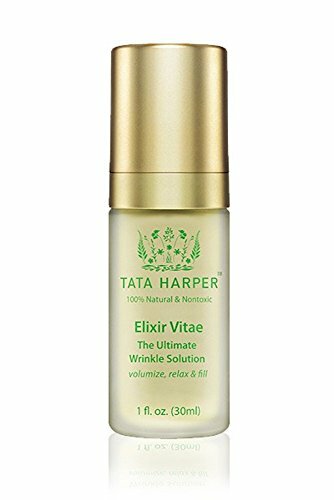 The Tata Harper’s Elixir Vitae is a powerful treatment that smooths and fills the appearance of fine lines, leaving your skin younger looking. The treatment also fades out the fine lines and wrinkles, increasing the radiance and youthful feel on your skin. Addressing the signs of aging on all levels, from all angles, the serum presents a four-pronged attack. Its ingredients aim fast for the surface of the skin, while relaxing immediately the skin. The serum has a lightweight formula that is easily absorbed into the skin, delaying the aging of skin. The primarily constant wrinkles (crow’s feet, lines, smile lines) are easily minimizes and the skin is ready for repairing and protecting itself against the outer stressors. On top of everything else, the elixir is made with no single synthetic ingredient, checking the natural formula box as well. Milk thistle ethyl ester- conditions the skin and gives a nice texture to the skin. Aloe barbadensis leaf juice- it’s a soothing ingredient for eczema and psoriasis. It lessens the appearance of fine lines and wrinkles. It treats acne and heals the damaged skin. Mango seed butter-it has a high concentration of Vitamin C, increasing the firmness and tightness of skin. It rejuvenates the skin as it’s loaded with vitamin A too. It reduces the fine lines and wrinkles, giving your skin a healthy glow. It calms the dry patches and removes flakiness from skin. It moisturizes the skin and calms alleviates the dry skin. It reduces the itchiness and protects the skin from the outer stressors. Sunflower seed wax-it’s loaded with anti-oxidants and moisturizes the skin. It has a high concentration of Vitamin E and protects the skin from the sun’s damage. It fights acne and the aging of skin. It brings comfort to a dry skin thanks to its healing abilities. Radish root ferment filtrate-moisturizes and conditions the skin, leaving it healthier and nicer looking. Sweet iris leaf cell extract- works against aging of skin. It encourages your skin to get firmer, tighter and younger looking. It softens and plumps the skin, moisturizing it at the same time. Barbary fig leaf cell extract-it’s a powerful anti-oxidant that blocks the aging of cells, while sustain the cellular renewal. It protects against the free radicals and reduces the number and depth of wrinkles and fine lines. It removes the circles and bags under the eyes, but also redness. It calms sunburns and heals the damages skin. It improves the looks of scars and smooths the skin. It closes the pores, toning and firming the skin. It’s a great emollient that softens and smooths the skin, leaving it well-nourished and moisturized. Kaolin-is great for cleansing and detoxifying the skin. It removes impurities without causing redness and absorbs the excess oils in skin, balancing the oil production too. It’s a great exfoliator and stimulates the skin for a toned and firmer look. It’s gentle and works for all skin types, sensitive skin including. Date seed extract-extends the life of the skin cells and offers antioxidant protection. It slows down the effects of the outer stressors and lessens the visibility and length of wrinkles. Summer snowflake bulb extract-it slows down the cell proliferation, keeping them young. It helps the skin cells to protect the skin from the oxidants and smooths out the skin, minimizing the wrinkles. It inhibits melanin and stops the melanocytes proliferation, lightening the skin. Honeysuckle extract-sooths the skin and has both antiseptic and anti-inflammatory properties. It alleviates rashes, blemishes and poison ivy. It also comforts the skin in sunburns. Aspen bark extract- is a natural preservative and a great alternative to parabens. It extends the life span of natural skin care products. it sooths the sin and leaves your skin smooth and soft to touch. It doesn’t irritate the skin and goes great for the sensitive skin too. No, the list of ingredients isn’t over and we leave it to you to discover the rest of them. Nevertheless, the formula is based on clinical grade essential oils. The serum addresses all skin types and is a great choice for one preoccupied with loss of volume. You only need to apply one pump over the whole face and neck, staying away from the eyes. Massage it nice and slowly into your clean skin. You can confidently use it twice a day, in the morning and at night. A little goes a long way and the serum looks amazing. It has a nice consistency and feels great on skin. Furthermore, your skin feels soft and smooth when using the elixir. If the health and youth of your skin are fundamental to you, you should definitely take the leap of faith and pay the extra buck for the elixir. Recent reviews on Sugar & Fluff Beauty: the Joanna Vargas Exfoliating Mask, the BeeFriendly Face and Eye Moisturizer, the Image The Max Serum with VT, the Dragons Blood vy Swiss Botany, the Facial Moisturizer, Organic and Natural by Christina Moss Review.